Art Deco was a reaction to the Art Nouveau movement of the late 19th and early 20th century, which featured an organic, sinuous aesthetic that emphasised geometric shapes in clean, angular, and symmetrical forms with clearly delineated colours. This style infuses simple decorative design into functional objects. 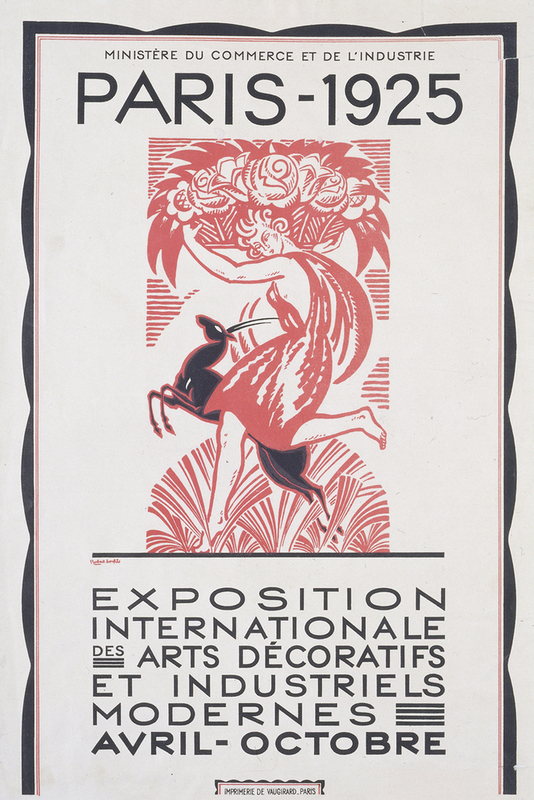 The name is a shortening of the phrase Arts Décoratifs, which was taken from Exposition Internationale des Arts Décoratifs et Industriels Modernes - an art exhibit held in Paris, France in 1925. The style itself had already been in practice in creating commercial and public buildings in Paris before the show, but it was this event that brought Art Deco to the attention of artists and aesthetes around the world. At its infancy, the artwork in the Art Deco style emanated luxury and glamour, utilising rare materials (e.g. ebony, ivory, horn, platinum) and even unusual items (e.g. zebra pelts and shark skins). As the world fell into the throes of the Great Depression post-1929, common materials like steel, plastic, chrome, and glass began to be used more frequently. Art Deco took inspiration from a variety of sources. It was greatly influenced by Cubism, the art style that broke down reality into bold, geometric forms pioneered by Pablo Picasso and Georges Braque in the 1900s. Art from outside the Western world also shaped Art Deco’s aesthetic, most notably those of Aztec and ancient Egyptian origin. To capture the spirit of progress, Art Deco looked to the machine. 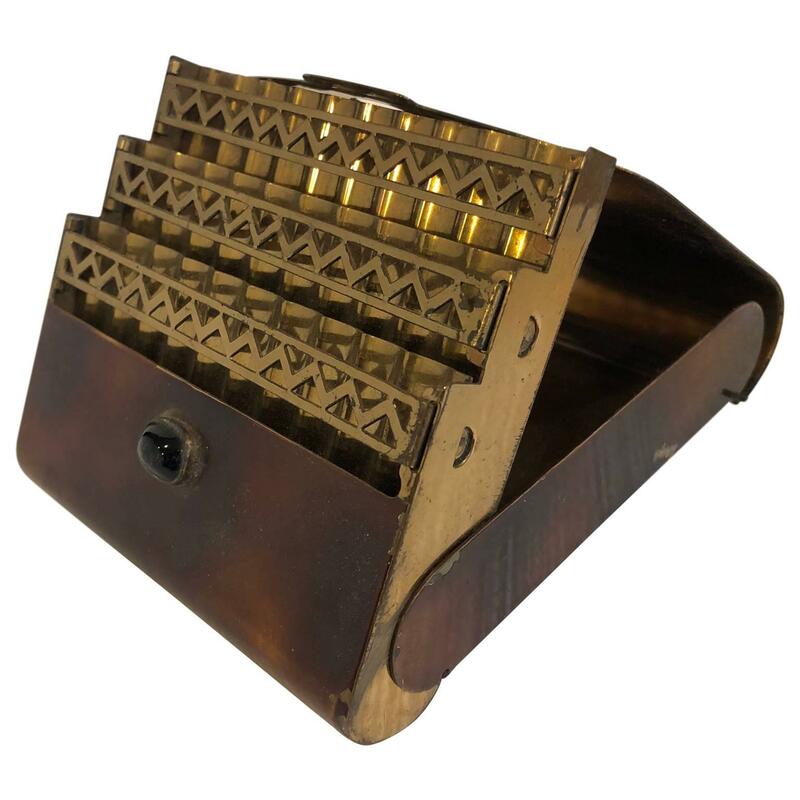 Global industrialisation had quickly transformed the way people lived life, and the artists of the time admired the efficiency of mass production and its impact on the common person. Trains, ocean liners and automobiles were the icons of industry, so their designs seeped into the formal philosophy of Art Deco adherents. With the mindset of making art that captures the imagination of the masses, graphic artists made great use of the air of modernity that Art Deco exuded. Posters in the 1920s and 30s advertising travel, events, and the latest products took on all the characteristics of the style that was at the time known as Art Moderne. “Speed whiskers” on automobile wheels and trains represented forward movement, and airbrushed metal showed the promise of technology. Covers of the latest magazines popped with bright, solid colours in large blocks and parallel lines. Typography was sleek and bold, sending strong, simple messages to their audiences. After enjoying centuries of reverence from high society and the public, the fine art of painting bowed out of the spotlight at the peak of Art Deco. As the style’s main purpose then was to highlight other works, paintings were integrated into buildings as complements to the work being done within these establishments. Many such paintings took on the form of murals. Painters such as Jean Dupas, Rockwell Kent, and Diego Rivera depicted people in movement across time and space. Tamara de Lempicka was distinguished for her Art Deco portraits of the rich and famous. As another classical visual art, sculpting found more use in the highly functional design goals of Art Deco. Statues loom and therefore demand attention, pairing well with the striking figures that the architecture of the time imposed on busy cities and bustling public places. No other such sculpture stood out more than Paul Landowski’s Christ the Redeemer, overlooking the people of Rio de Janeiro from the top of Corcovado Mountain. Much smaller Art Deco sculptures also made an impact on their surroundings. Salons and lobbies of private firms were endowed with statuettes and reliefs, posing persons in idealised, heroic posture. By the 1920s, industrialisation had made cities hubs of commerce, residence and entertainment. Buildings within these cities served not just as physical structures to house people and businesses, but also as monolithic symbols of progress, promising that the future was something to look forward to, especially in the aftermath of the First World War. Art Deco sold that vision in all its splendour and promise. Embodying the spirit of modernity in the realm of architecture were the skyscrapers erected in the major cities of America. New York City boasted some of the tallest buildings made, and they were all designed in the Art Deco style. 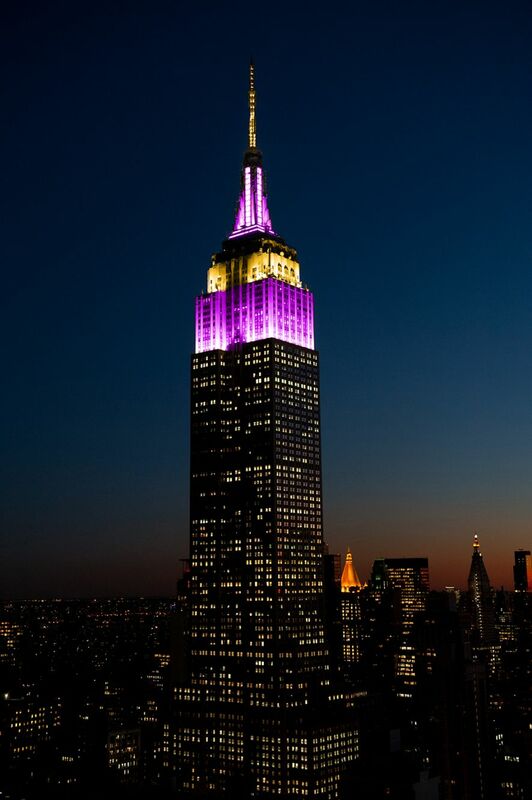 Undoubtedly the most emblematic of these was the Empire State Building, but the Chrysler Building and Rockefeller Center are two other famous examples. All of these exemplify the power of clean lines rising high and embellished at the top with spires and geometric patterns. Entertainment establishments caught their audience's attention with bold, bright colours in upright parallel strokes and grand interiors. Film was the great attraction, as the incorporation of sound had only become commercially viable. As such, cinemas had to accommodate more viewers. “Movie palaces” were built, with some of the largest being able to seat thousands. The Grand Rex in Paris featured a tower, typical of the verticality of Art Deco architecture. Grauman's Egyptian Theatre in Hollywood, as its name suggests, was constructed with liberal use of Egyptian imagery, trading in exoticism to transport moviegoers into another world. Radio City Music Hall in New York City, meanwhile, could host up to an impressive 6,015 people in its early years, and it still stands intact as it did when it opened in 1932. Just as remarkable as the capacities of these buildings were the interior designs that decorated their halls. Combinations of coloured marble and ceramics meshed with stained glass and polished stainless steel were abundant. Reliefs of human figures and repeated chevrons and zigzags supplemented grand murals. Sculptures and furniture inlaid with ivory and mother-of-pearl accentuated the interiors. The Great Depression, however, had a sobering effect on the lavish design of Art Deco architecture. With economies experiencing a dramatic downturn, construction had to be more practical and less extravagant. With a subdued, less ornamented aesthetic orientation, Streamline Moderne was the architectural style that followed Art Deco in the 1930s. 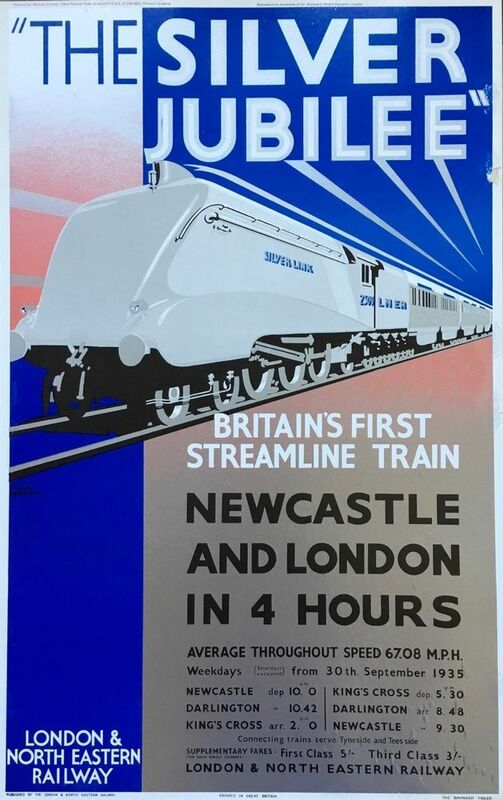 Streamline Moderne still had the conceptual foundation of simplicity and modern sleekness of Art Deco but traded strong angles and vivid colours for smooth curves and subdued whites. Verticality gave way to long horizontal lines. Aerodynamism was important in technological advancement, which reflected in architecture made in Streamline Moderne. Architects of this art philosophy also took cues from nautical designs, implementing railings and port-hole windows into transport terminals. Opulence and technological innovation were certainly signatures of the Roaring 20s, but the era also marked important social progress, specifically for women. Women’s suffrage across the globe had gained traction in the previous decade, leading to more countries establishing women’s right to vote by the 20s. With greater political and cultural cachet, more women started breaking free of the traditional image society had imposed on them, and it was in the realm of fashion that this freedom was most obviously expressed. The tight waistlines, big tresses, ample bosoms, and elaborate tailor-made dresses were exchanged for a tubular silhouette, shorter haircuts, higher hemlines, and mass-produced fabrics. Fashion magazines came into vogue, spreading the latest clothing ideas from Jeanne Lanvin and Paul Poiret farther and faster into the hands of ladies across classes. Movie stars were born, setting trends every girl would want to emulate. The Jazz Age was in full swing in clubs and speakeasies. Women were out and about, and they were wearing and living Art Deco. It is the image of The Flapper that personifies the Art Deco fashionable woman; the streamlined sleeveless dress, the distinct colours, and the ornamental accessories all make up the vintage Flapper look. The influence of Hollywood on women’s fashion in the 20s and 30s cannot be understated as well. The glamour of idols from the silver screen was novel. What the leading actresses wore to high-society events is what every woman with wealth had to dress like. 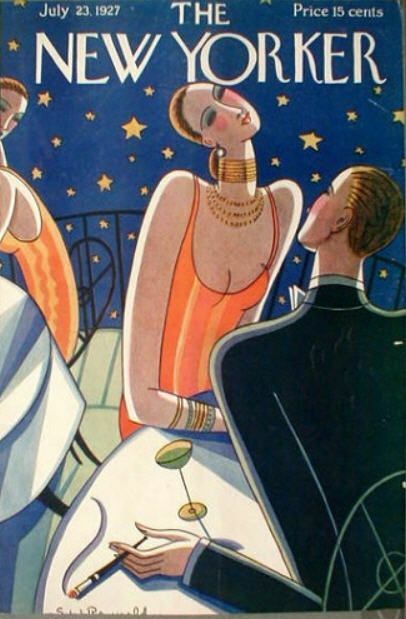 As with all things Art Deco, angles were prominent in their dresses. Fabrics and embellishments were rich and reflective. Gowns flowed all the way to the floor. “Sportswear” as a look also began during this period, thanks to Coco Chanel. With women being more inclined to participate in sports and leisure activities, there came a need for clothing that is functional and comfortable while also being stylish. Hence, lightweight fabrics like cotton, airy trousers, and masculine jackets were introduced to the market. 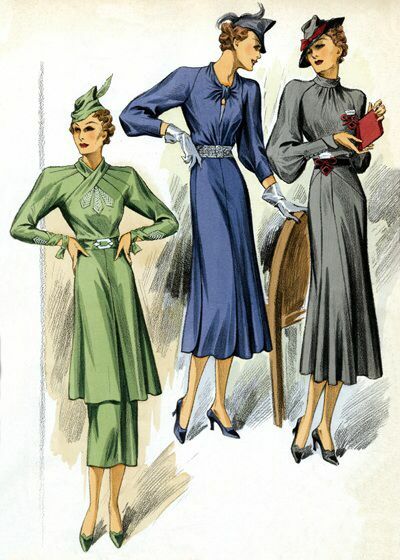 While the dresses were relatively streamlined, women accessorised to the brim. The cloche hat was necessary, and it was decorated with feathers, tassels, and brooches. Women put on makeup in public, so the compact had to look good. Sequins and beads dangled on dresses and handbags. The indulgent heights that fashion reached were eventually brought low with the Great Depression. This, however, did not mean a complete regression of the boldness that came with Art Deco. While hemlines dropped and ornamentation decreased, fitted dresses came back into fashion with women sewing their own clothes. They also acquired the option of picking ready-to-wear outfits from department store catalogues featuring affordable yet stylish pieces. The prosperity of the postwar era was reflected in the variety of jewellery that people wore, and Art Deco jewellery was lustrous, colourful, and exotic. Diamonds were the major gemstones that studded jewellery for the previous decades, so there was a push for bright coloured gemstones as well as onyx and black enamel to signal a change in the times. Emerald, jade, coral, lapis lazuli, and turquoise, among others, were inlaid into gold, as East Asian and Egyptian influences made their way to the Western world. This, however, did not stop the dominance of diamonds. Platinum became more common as the base metal, because of its malleability and durability. The clean, chromatic sheen supplemented the lustre of diamonds, lending to a luxurious all-white aesthetic. White gold becomes a popular alternative as a partner to diamonds. 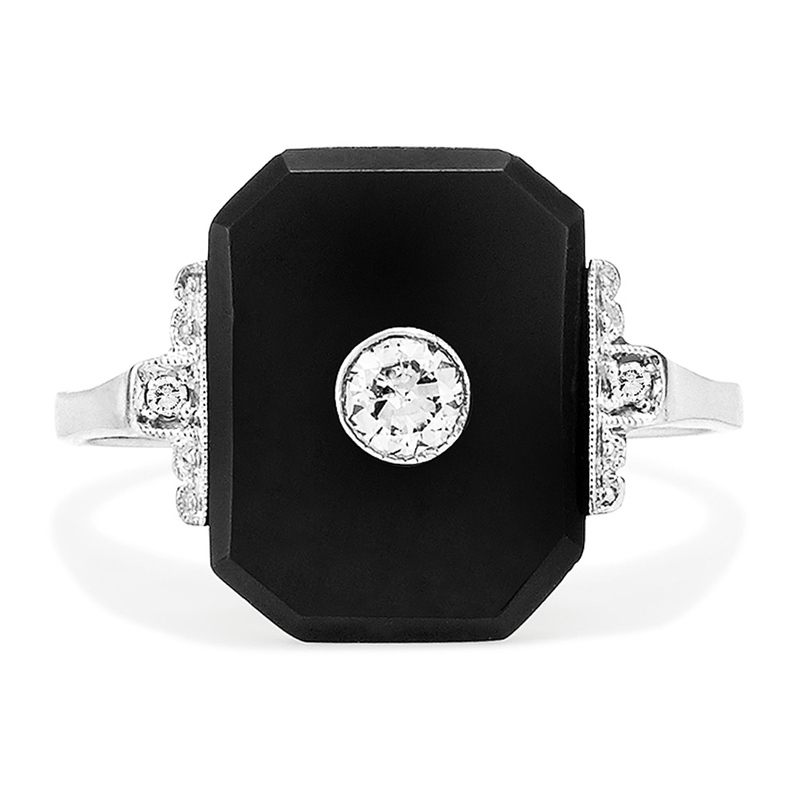 The deep blacks of onyx set a stark contrast to diamond brilliance. Technological advances in metalworking and gemstone cutting led to finer symmetrical geometric patterns - an Art Deco signature - appearing in jewellery. Die-cast machines made complex filigree designs possible. Gemstones were cut to fit custom jewellery designs, and these were called calibré cut stones. Mother-of-pearl, polished metal, sculpted glass, and even ball bearings were some of the uncommon materials used in crafting jewellery of this period. Jewellery complemented the drastic changes in women’s fashion. Elaborate pieces were accents to the streamlined, shrinking dresses. Dangling earrings helped frame the dolled-up face with a short haircut. Long pearl necklaces hung over plunging necklines and exposed backs. Pendant watches swung from many a lady’s neck. Bracelets and bangles adorned bare arms. Wristwatches crossed over from being highly functional devices used by men in World War I to gemstone encrusted fashion pieces by women. Cocktail rings were another prominent accessory in women’s jewellery sets. As women enjoyed smoking in public, cigarette holders and cases also had to reinforce the image of affluence. Jewellery houses implemented geometric patterns and East Asian designs and embedded precious stones in the making of such items. Despite the Great Depression dampened the vibrancy of Art Deco during the 1930s, the form adapted. It was the cataclysm of World War II that finally put an end to Art Deco’s exuberance and its influence on culture and society at large. What followed was the more muted, uniform stylings of modernism. 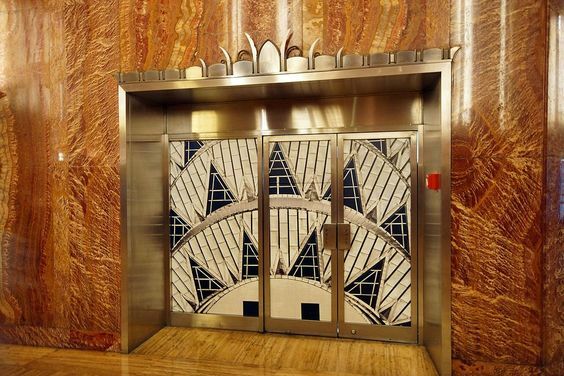 Art Deco would experience a revival in the 1960s, especially after art historian Bevis Hillier documented works of the style in his book Art Deco of the 20s and 30s. Art Deco, with its ever-optimistic outlook on modernity, remains a style inspiration in the world of graphic design, fashion and furniture design today.